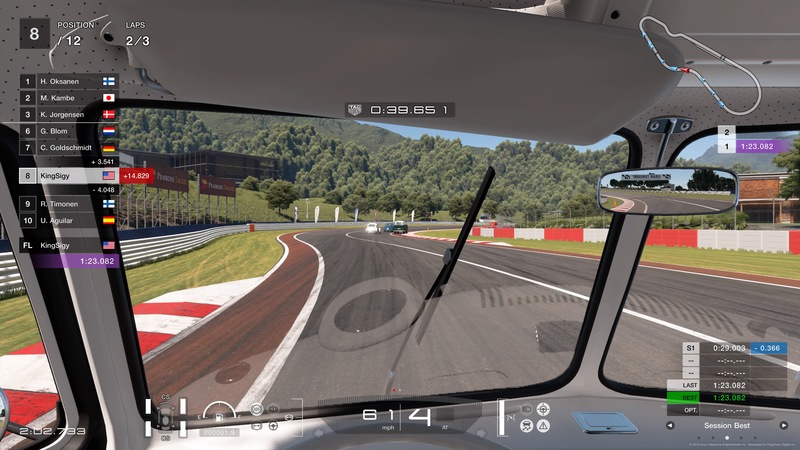 In the year since its release, Gran Turismo Sport has seen quite a few substantial updates. A new career mode, more tracks, a crapton of cars and even microtransactions: Sport is a much heartier title than its 2017 incarnation. Even with those additions, though, the core of the game still feels off. I booted up the game a week ago to see just how substantial all of these additions would be. In my review from last year, I ended up scoring Sony’s premier racing franchise a 6/10 and citing a lack of content as my chief complaint. While the content factor has definitely been increased, I think the real heart of my problems with GT Sport is just that it puts so many odd restrictions on the player. 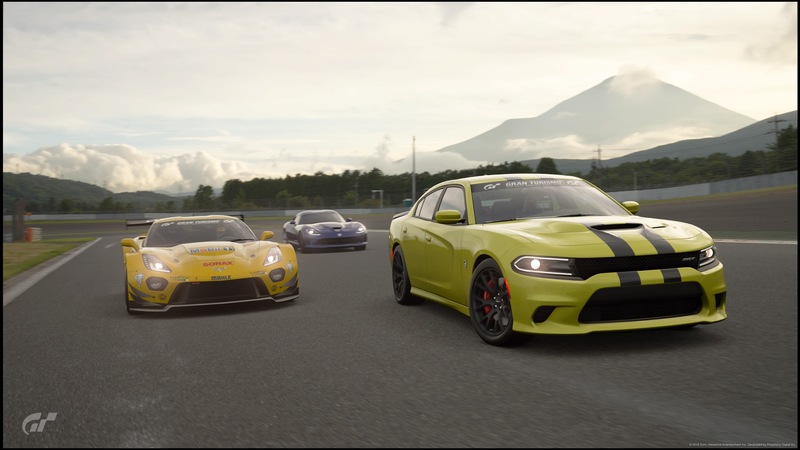 Despite having what Polyphony Digital has deemed a career mode now, GT Sport still demands players have a persistent online connection. 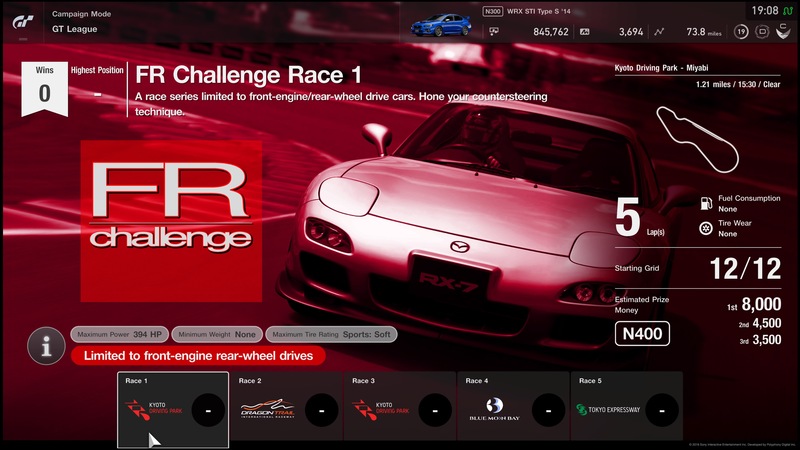 With more cars coming into the fray, players are still limited in the online “Sport” mode to which vehicles they can drive. Worse still, the “Safety Rating” system has not seen any noticeable change, making for some seriously frustrating moments of tapping a rival and tanking your safety score. In our modern era of post-launch updates and bug fixes, I figured stepping back into the world of GT Sport would yield something more. The game isn’t without its moments, but this is still a shallow shell of what the series’ past had on offer for players. 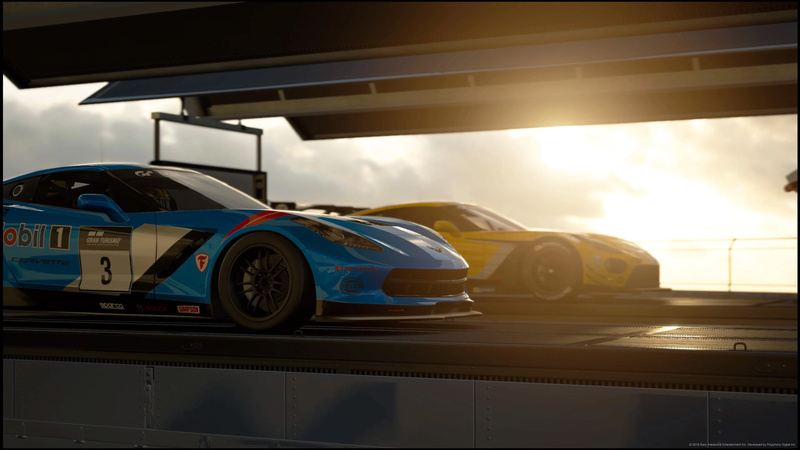 For all the strides made with car customization and minute stat tracking, you still only get around seven cars per manufacturer and no dynamic/alternate time of day settings for tracks. In all honesty, I feel like Polyphony Digital and Sony have failed to bring the racing series up to next-generation standards. The content on offer does match that of Gran Turismo 3, but that game came out 16 years ago. No amount of restarting development or focus on specific game modes should have come to the conclusion that axing series staples was appropriate for the series’ PS4 debut. Despite now boasting 233 cars and 48 courses (a number that is bloated by having alternate versions as different tracks), the game still feels like a tech demo for a proper Gran Turismo 7. I definitely appreciate Polyphony taking a fine-toothed comb to its car models and creating photo-realistic environments. While the game doesn’t really hold my attention for long, I am still quite impressed with how excellent the visual design is, especially on PS4 Pro. You can tell nailing the look, sound, and feel of each vehicle was a labor of love from the design team. Everything comes off super accurate and captures the essence of what racing is all about. That being said, what does this offer for fans that have been there for every entry? Certain concessions might need to happen to evolve a series, sure, but to cut out basic genre options? Did FIA regulations really force the odd online restrictions, thus eliminating offline play? What reason was there to excise different classes in favor of focusing purely on sports cars? These are still questions I can’t quite figure out, though you can now drive a Volkswagen bus around tracks. My only real conclusion is that online play was mandated so that microtransactions could come into play. 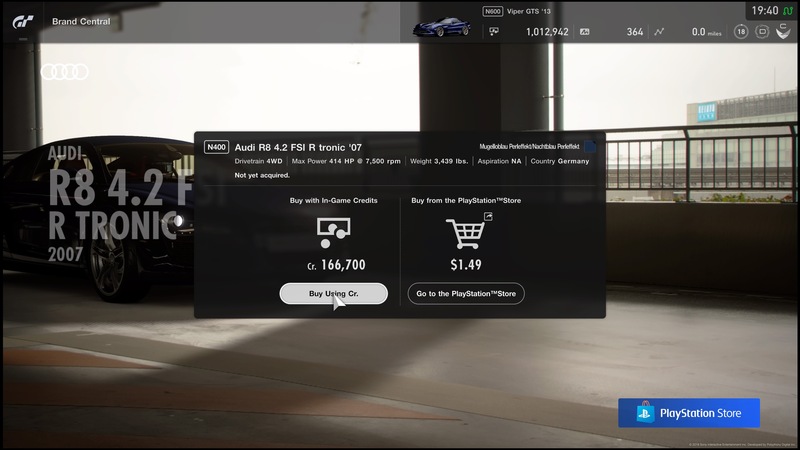 For some wild reason, GT Sport now gives players the option to purchase individual cars for around one to three dollars apiece. This only really impacts the added “career” mode, since “Sport” mode has harsh restrictions on which make, model, and year of vehicle you’ll be driving in. With a super convoluted menu system and some odd requirements the farther you get in, the whole system just seems like a way to strangle people out of cash. The game doesn’t give you an option to buy the car needed for a career event from the career menu, so you’ll need to click an exclamation point, discover which models are allowed and then back all the way out to the main menu. After that, you’ll navigate the “brands” feature to find the particular manufacturer and then buy whichever car you’ll need. On one occasion, I bought an entirely different car because I confused the model and I had to repeat the process. Maybe allowing the quick purchase of a car was something that just couldn’t be done in GT Sport. Loading most menus brings up a full-scale model of the vehicle and there could be a possible reason doing that from within career mode wasn’t optimal. What I really think, though, is that the menu was purposely made tedious to trick people into wasting credits on the wrong car for the job. Why else would microtransactions be added? At least in the case of money, credits are given out so regularly that I can’t even envision a scenario where someone runs out of cash. Since career mode wasn’t even a thing for my review, I had a spare 1 million credits laying around for me to make mistaken purchases with. For people starting out, though, this could end up with scenarios where you’ll be making some progress and then get halted because the car you need is far too expensive. You could just slip a few singles over to Polyphony Digital, though, and get right back into the action. That is mostly a nit-pick, however. In all honesty, the career mode is so forgettable and barebones that it might as well not exist. It is the bare minimum one would have to do to bring a feature into a game and it still acts mostly as a way to prepare you for online competition. That is the true focus of GT Sport and not much else has changed. The lobby system for custom races is still ridiculously dead and the “Sport” mode doesn’t fill up the way it used to. Even with all of these additions to the core game, GT Sport is still just limp. Really and truly, I think Gran Turismo’s days are well behind it. It would take a radical re-invention of the series to bring it up to speed for whatever Sony’s next console ends up being. If GT Sport 2 is just this game but with more that really won’t be good enough. More content is nice, but an actual reason to interact with that content would be better. That is truly what is missing from GT Sport and always has been.